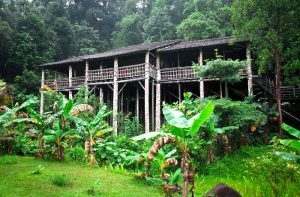 Staying at a longhouse in Borneo and living with the Iban community is often cited by travelers to the region as one of their most treasured experiences in Sarawak. Gaining insight into isolated life out in the jungle, a one night stay provides an honest look into the tribal traditions that still exist on the island. The Iban, one of many groups of indigenous people still living in Borneo are ‘settlers’ who live in a communal longhouse – a wooden structure built on stilts, with one side sectioned off into a row of separate family rooms and the other used an open social area and meeting space. If another Iban native or family arrives to join the community then the house is simply elongated to accommodate them, hence its name. Destination Asia Malaysia works closely with the community to provide an authentic experience that explores the landscape, social structure of the neighborhood, local cuisine and introduces activities such as shooting a blowpipe. 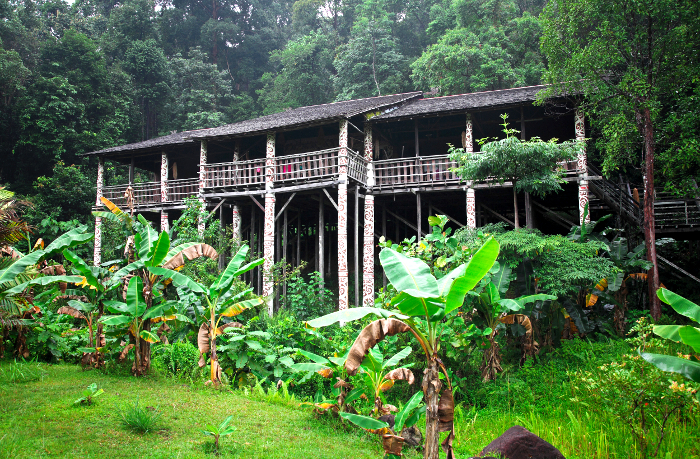 The Mengkak longhouse is located on the bank of the Engkari River, a tributary of the Batang Ai reservoir. Set up in the late 1980s, the longhouse is part of the Batang Ai Resettlement Scheme due to the flooding of the area. 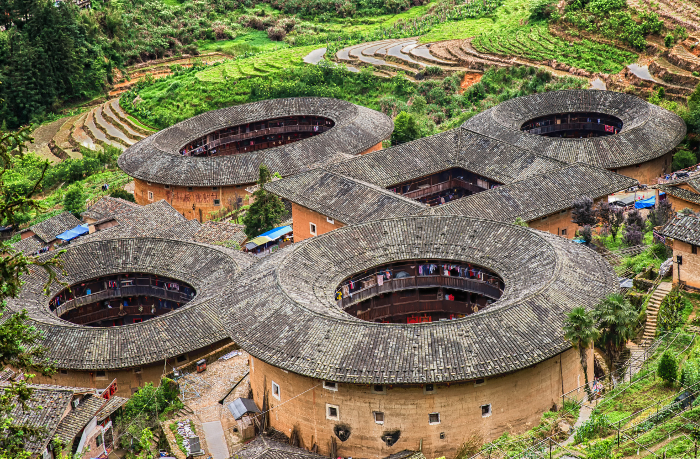 Fujian is home to the mysterious Tulou structures – large, round, rammed-earth buildings that date back thousands of years. They were built by the Hakka people, a sub-group of the Han, at a time when fierce bandits roamed the countryside and defensive structures were imperative. The communal earthen buildings housed extended families to provide protection from nomadic marauders. 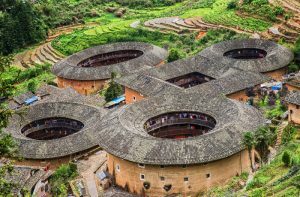 There are many Tulou buildings across southern China, but only 46 have been nominated as UNESCO World Heritage sites and officially designated “Fujian Tulou”. They vary in size but some are five levels high, 70 meters in diameter, with 60 rooms on each floor. They are protected by 1.8 meter thick walls and iron-coated doors. Depart from Xiamen for Yongding, where the majority of the Tulou are located. After a pleasant ride alongside green fields and around winding mountain roads with spectacular views, arrive at an authentic Tulou dating centuries back where you will have the opportunity to spend the night. 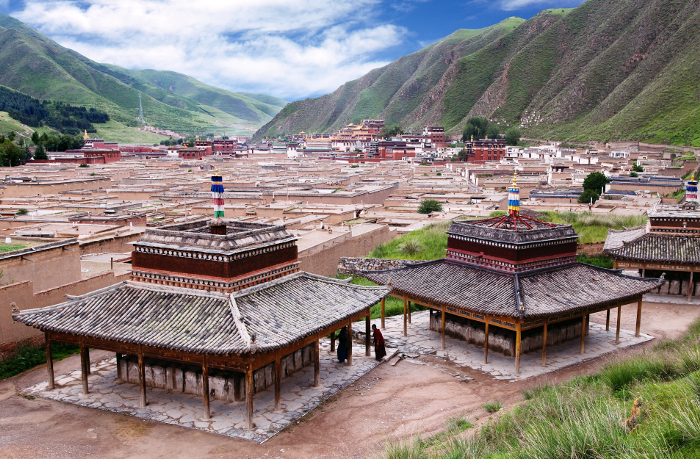 Labrang Monastery is one of the six great monasteries of the Geluk (Yellow Hat) school of Tibetan Buddhism. It is Tibetan Buddhism’s most important monastic complex outside Tibet. Located in Xiahe where the Xiahe River flows through many soaring mountains and deep valleys, it was known of old as a route for armies in the area. Because of its special Tibetan Buddhist culture and strong ethnic traditions, the county is sometimes called ‘Little Tibet’. Xiahe is situated between two mountains with the Daxia River flowing adjacent. Though the town isn’t particularly large, it has a wide main street with Tibetan and Muslim restaurants; and tourist shops lining both sides. It is an interesting place where Tibetans, Muslims, Chinese and foreigners all live together, providing visitors with a kaleidoscope of cultural intrigue. During their visit, guests can observe up close the life of a monk, seeing the monks studying and debating Buddhism during their overnight at the monastery.